We've all seen it: Twitter feeds with incomplete sentences that turn into "on.fb" links, Facebook pages with nothing but tweets that are smothered in hashtags and Twitter handles we can't click. Yes, it's nice and convenient to be able to share the same post on both platforms, but is it always smart? Will it really make the most of each platform and help you reach your following to its full potential? These are questions you should ask yourself when posting the same content on Facebook and Twitter. We see artists doing this all the time, so below, we've weighed the pros and cons for you to help you decide on an approach that works best for you. This is good for tour announcements and big updates, such as news about your upcoming releases. When a piece of content is important for name repetition and brand awareness, you need to utilize both platforms in order to get your call-to-action across to fans. We understand that managing social media and creating new content is time-consuming work. You're an independent musician – it's hard doing it all. Reposting the same content on Facebook and Twitter frees up the time you would've spent coming up with ideas for different posts. If you come up with a strong Facebook photo post about your band's new practice space, you can simply share it on both platforms and get back to practice. It's simpler and saves time. This goes back to brand repetition. Consistency is key in social media, and when your social media platforms match, your message is clear. Twitter is a post-often platform with tons of replying, favoriting, and retweeting. Facebook, on the other hand, is a more of a "post-every-once-in-awhile” platform. And engagement is through comments and liking. Engagement is the most crucial element of social media. If your Twitter fans can't reply to your Facebook-created tweet because they have to be redirected to your Facebook in order to see the full post, you're not giving them the opportunity to use Twitter to engage. They have to go to Facebook to engage. This isn't bad, but then what's the point of having a Twitter? They're different platforms, and the differences in engagement are important to note. This is the most obvious con of cross-posting the same content on Facebook and Twitter. If your Facebook is nothing but a Twitter feed, people who follow you on Twitter are going to see the same thing pop up on Facebook and will likely think of you as lazy or unaware that you're bombarding people with the same exact posts. This is mainly for Facebook posts that are synced to Twitter. If your post on Facebook runs over 140 characters, your tweet is compromised. Who knows, maybe the important part of your announcement is the part that's cut off! Also, Facebook has tags to pages, people, and events that link to other information. These don’t come up on Twitter. Likewise, Twitter has handles to link to, which don't link up on Facebook. So, to help you determine your approach, here's a summary of when you generally should and you shouldn't cross-post on Facebook and Twitter. It's an important announcement, such as tour dates, new track releases, etc. You can slightly alter the posts to be sure they format for Facebook and Twitter, but important info should be cross-posted and recycled. It's a great post that you know will kill it and needs to be on both. Again, be sure the post is formatted specifically for Facebook and specifically for Twitter. But, if you have a killer post – maybe an awesome picture of your singer belting it out at a sold-out show – you want it on both platforms. It's a short post. Keep that on Twitter. Facebook has its place for short posts, but generally, if it's not imperative band information, keep the short posts to Twitter. Twitter has a character limit for a reason. It's a picture-only post. Picture-only posts typically have a better reaction on Facebook because Facebook has an arguably better layout for photos. Twitter usually needs text to be relevant. You want to post the exact same thing word for word. 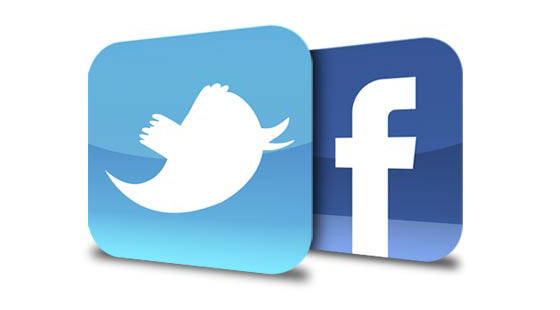 We can't emphasize enough how important it is to have posts be specifically formatted for Facebook and Twitter. If you only wanted to make the exact same posts, why would the two social media platforms exist? They wouldn't – there would only be one. Sam Friedman is an electronic music producer and singer-songwriter based in Brooklyn, NY. His music blends experimental ambience with indie-driven dance music. In addition to pursuing his own music, he is a New Music Editor for Unrecorded and is passionate about music journalism. Check out his music and follow him on Twitter @nerveleak.